Paddling holidays have the potential to be great value, but they can also be extremely expensive. Plan to go sea kayaking in Patagonia, and you might not get much change from a few thousand pounds. The secret to finding the best deals is selecting the right destinations. In Europe, as with many things, the paddling gets cheaper the further east you go. 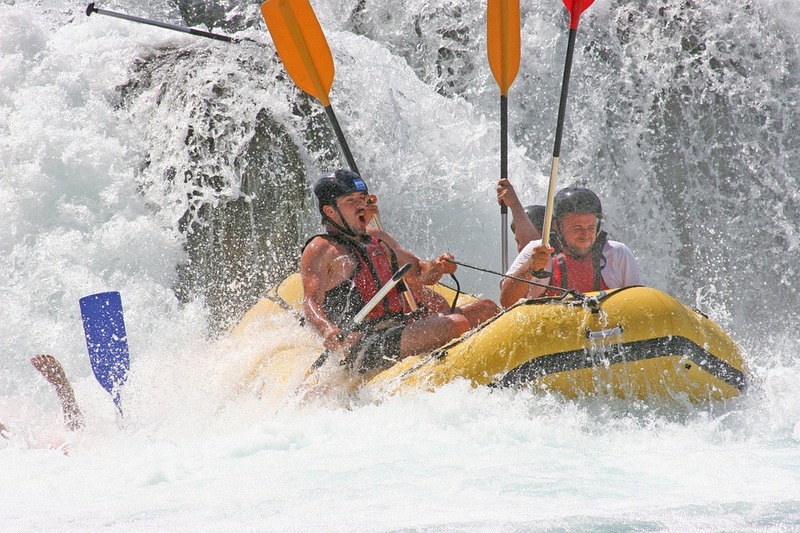 Cheap white water rafting is available in several Central and Eastern European countries, from Croatia to Bosnia and Herzegovina. These destinations are increasingly popular for budget holidays in the sun, and you shouldn’t count them out for an awesome adventure holiday. Discover some of the best rafting opportunities Europe has to offer without breaking the bank with our top picks. Both white water rafting and kayaking have taken off in Croatia over the last decade or so. Families and groups of friends, or even business travellers, can take a thrilling few hours ride down one of the country’s rapid-filled rivers. Some of the most popular rivers include the Cetina, the Una and the Kupa. On average, you’ll pay around 250 kuna (€33) for two to three hours rafting with transfers from the nearest village, town or city included, or sometimes as an optional extra. You’ll also get lunch or a snack with many trips. Check out Huck Finn Adventures for trips on seven different rivers to choose from, with rapids from grades I to IV. For example, the Cetina River is just 45km (28 miles) from Split, where Huck Finn will take you through class II-III rapids. You get a professional guide, paddling and safety equipment, and a wetsuit in colder weather. If you’re looking for a multi-day experience, your best shot is to pick a trip with multiple activities, of which at least one will be rafting. These trips are usually great fun for the whole family, and can include anything from hiking and cycling to kayaking and swimming. Take a look at Huck Finn Adventures’ Clear Rivers Country trip. The 8-day trip is suitable for all ages from age 8, with kayaking, cycling, hiking and rafting, from only €620. Prices include activities, half-board accommodation, transfers from Zagreb or Rijeka, a guide, and insurance. 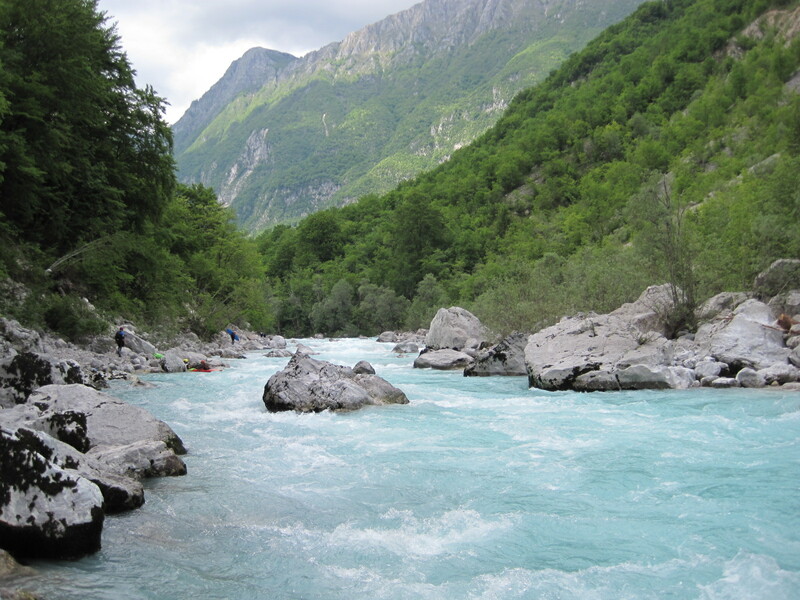 Slovenia’s Soca Valley has beautiful jade green waters, perfect for a range of watersports. You’ll find sections of the river for a leisurely paddle in a canoe or kayak, or something more exciting in a raft. Soca Valley Holidays has three rafting options on different sections of the river – their Classic trip, Family Rafting, or Mini Rafting in a three-person raft. They offer day trips from €28 per person, or family and multi-activity holidays with rafting included. You can also find cheap white water rafting opportunities with Alpin Action, Soca Rider, and several more companies that run trips on the Soca River. 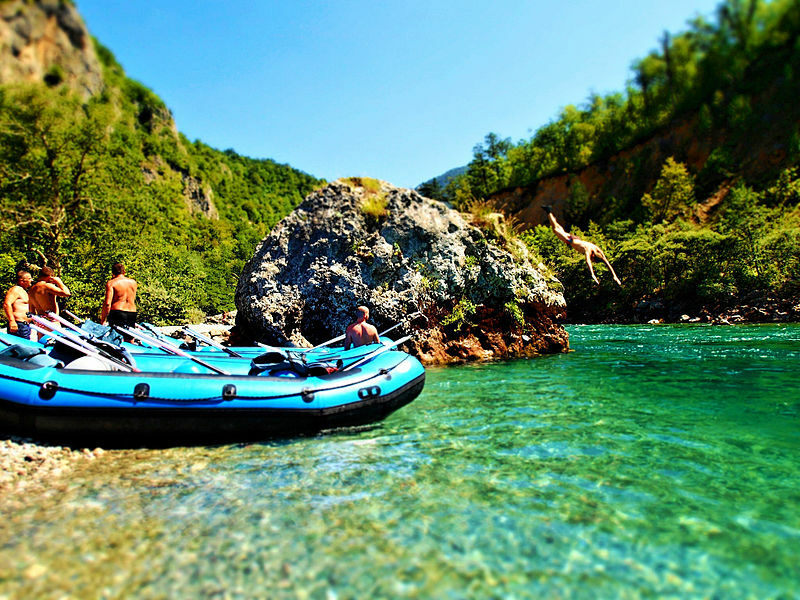 In Montenegro, you can raft through stunning green valleys and combine your rafting with a range of other activities. Waterfall Rafting Centre has a weekend trip from €65 per person, where you can spend a day relaxing before you get into your raft. On the second day, you’ll travel 18km down the Tara River, through 21 rapids. Three meals are included, plus accommodation. They also offer a 3-day rafting escape, a scouts package, and more. According to Visit Montenegro, the Tara Canyon is the deepest in Europe and the rafting route the longest in Europe. So, it’s no surprise that you can find a number of tour companies running trips on the river. 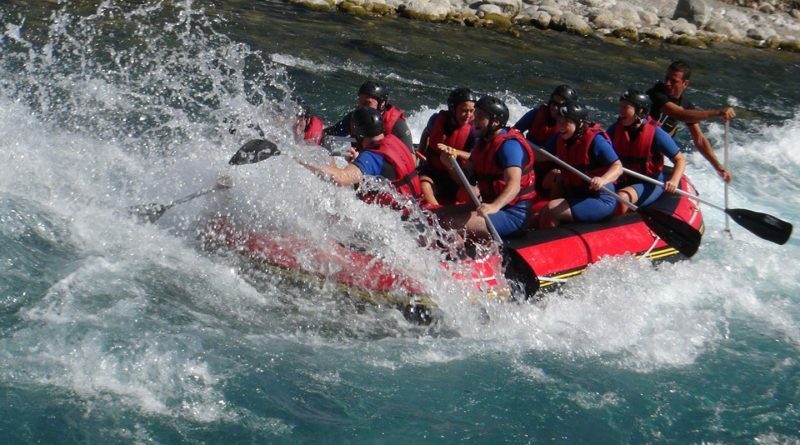 You don’t even need to be in Montenegro to enjoy a day’s rafting. If you’re checking out Dubrovnik, you can cross the border from Croatia to Montenegro. Adriatic Kayak Tours will pick you up from your accommodation in Dubrovnik for a scenic 3-hour drive to the river. Their day trip, including pickup, dropoff and lunch, runs at 780Kn (€100) per person. Don’t forget your passport! You can also experience the Tara River from Bosnia and Herzegovina, with multi-day trips available. On a 2-day tour with Green Visions (€135), you spend the first day making your way from Sarajevo into the stunning Sutjeska National Park. You’ll spend the day walking through the area, admiring waterfalls and forests along the way. They boast that the park is often compared to Yellowstone! You’ll head towards the Glacier Lake Trnovacko and possibly go for a bracing, icy swim. After lunch, it’s back to your accommodation of wooden huts, where you can get a good night’s sleep before rafting in the morning. Green Visions also offers rafting trips on the Neretva and Una rivers. Day trips on the turquoise Neretva River are ideal for anyone, especially during summer when the water is calmer. With 3 to 4 hours of rafting plus breakfast and lunch included, €40 per person is a pretty good deal. For just another €5, you can get another hour’s rafting on the Una river. The 4-5 -hour trip, including a picnic lunch, is sure to be exhilarating for first-timers and experienced rafters alike. Where are you favourite places for cheap white water rafting or other budget paddling trips? Thanks to JohnSM, Raftrek, Florian Jesse, Sarah Tzinieris and Artfotodesign for the images.